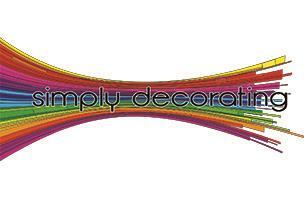 Simply Decorating Ltd - Painter/Decorator based in Paddock Wood, Kent. My name is Kurt Gigney and for over fifteen years I have been painting and decorating Domestic & Commercial projects in Brenchley, Paddock Wood, Tunbridge Wells and the surrounding area. Due to an increase in recent projects and continued success of my company, I have needed to expand and employ a small team. They too are highly experienced and have the same work ethics that I pride myself on. I am a small business owner and I will consistently strive to offer the absolute best possible service and quality. We will always respect your property and undertake the best possible work at all times. Unlike some big companies, who can be impersonal and distant, when you hire Simply Decorating you are hiring directly employed tradesman over seen by myself. We promise to be courteous, respectful of your property, honest, and as tidy as possible. I will give you a very competitive quotation and will complete the work in the shortest time possible and to the highest standards.